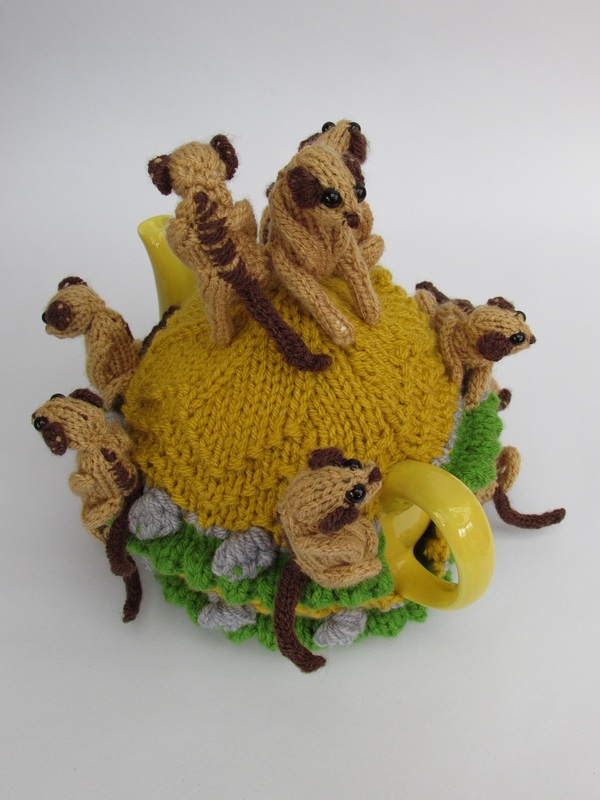 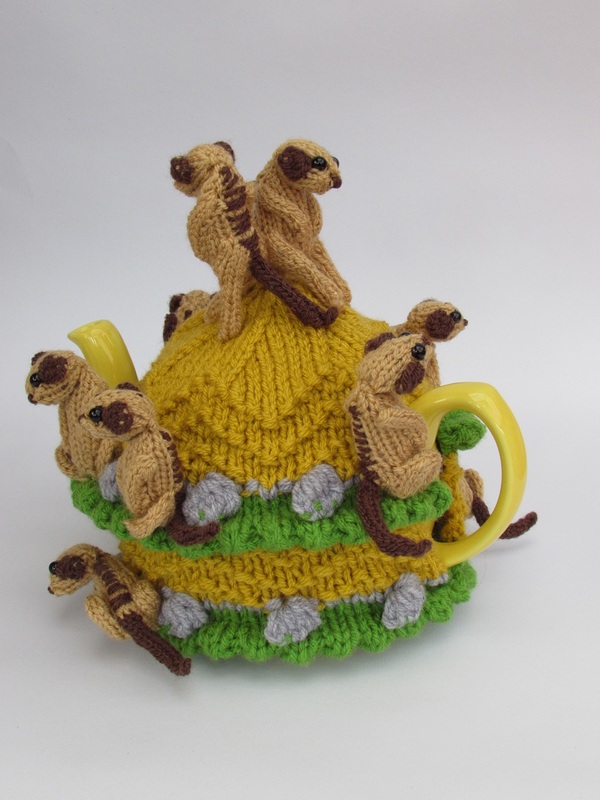 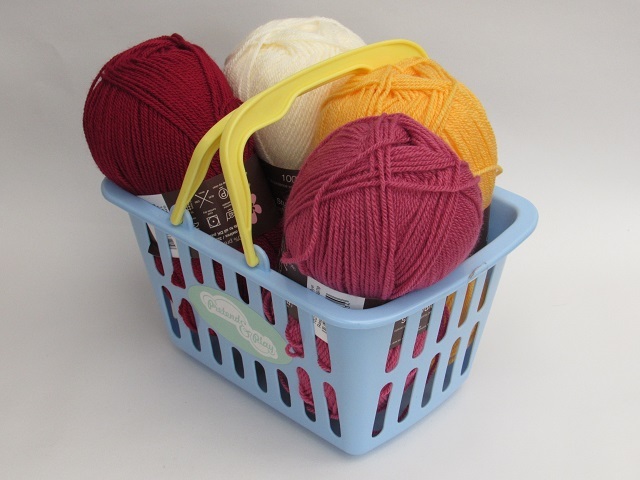 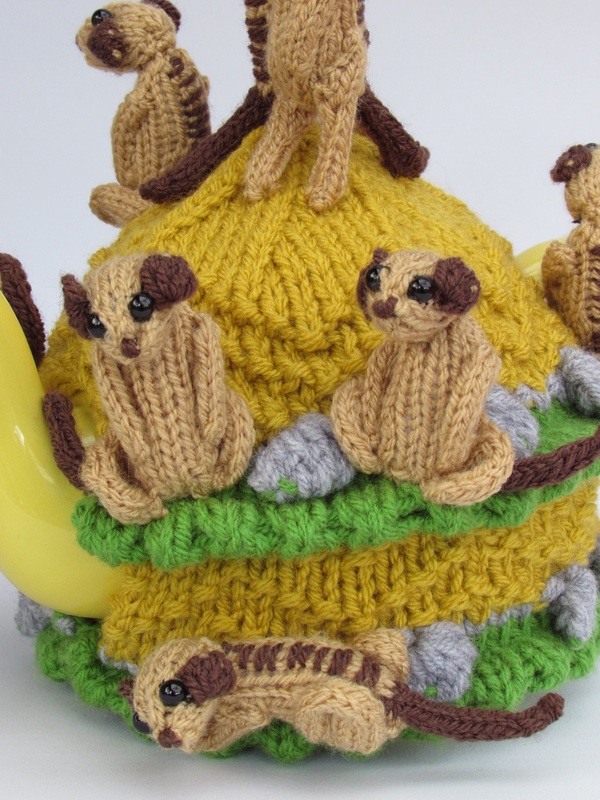 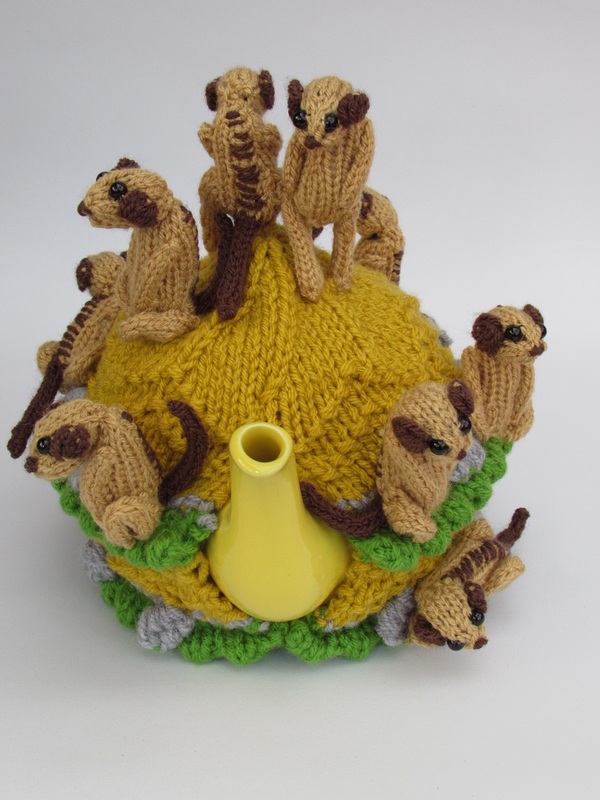 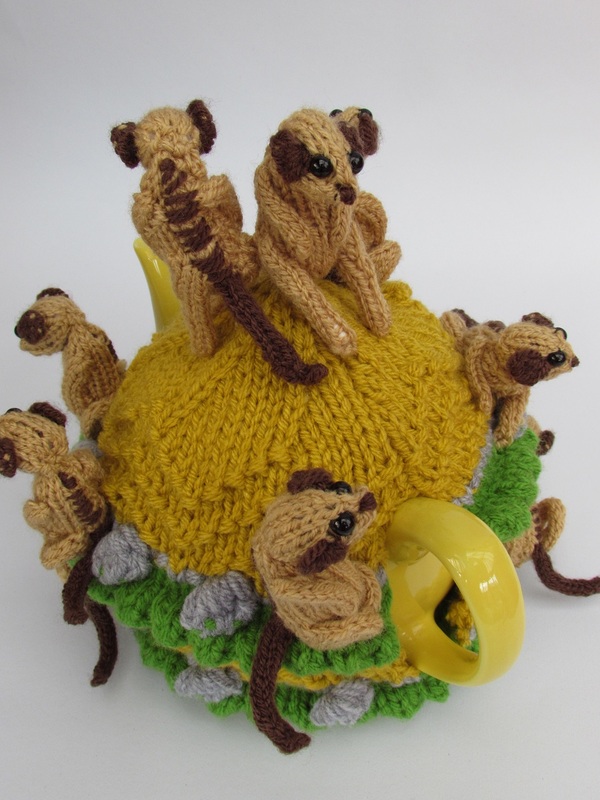 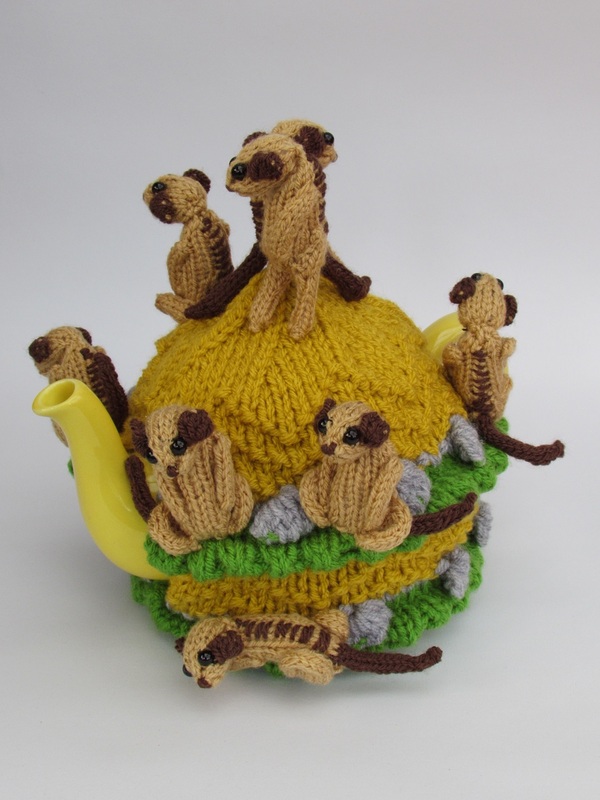 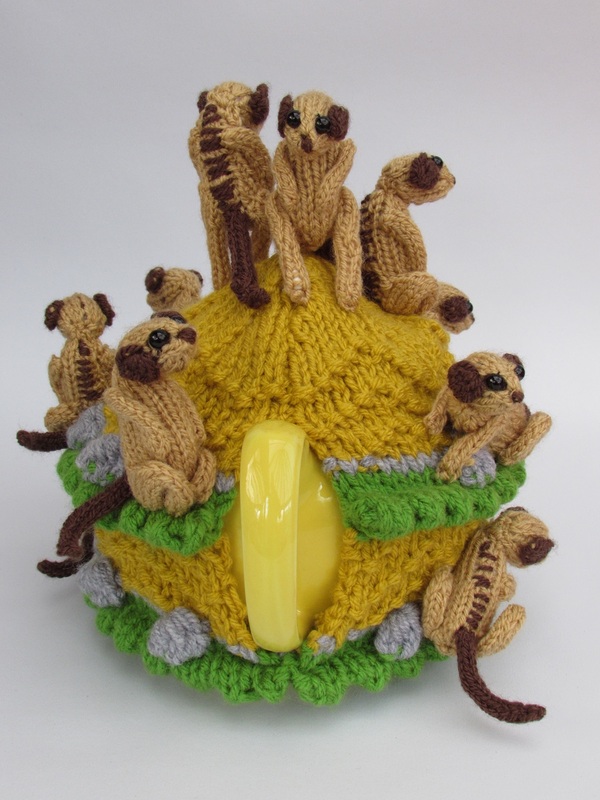 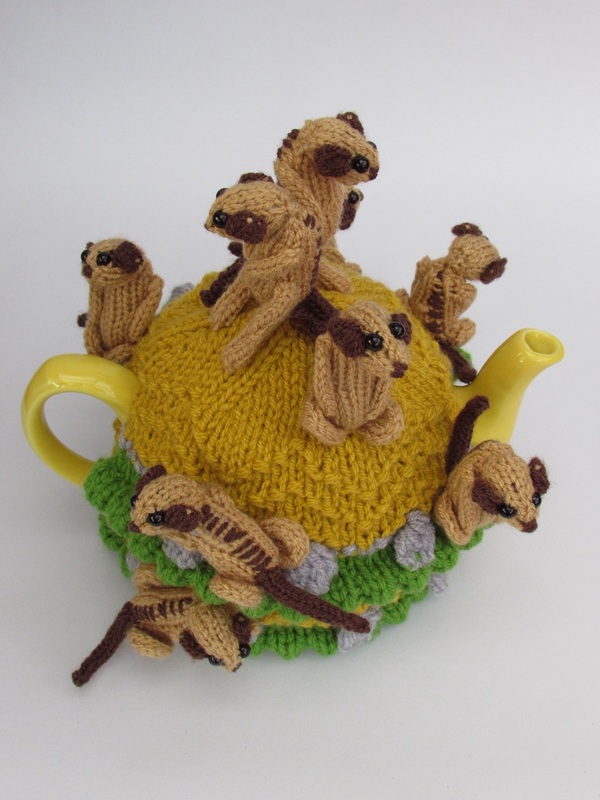 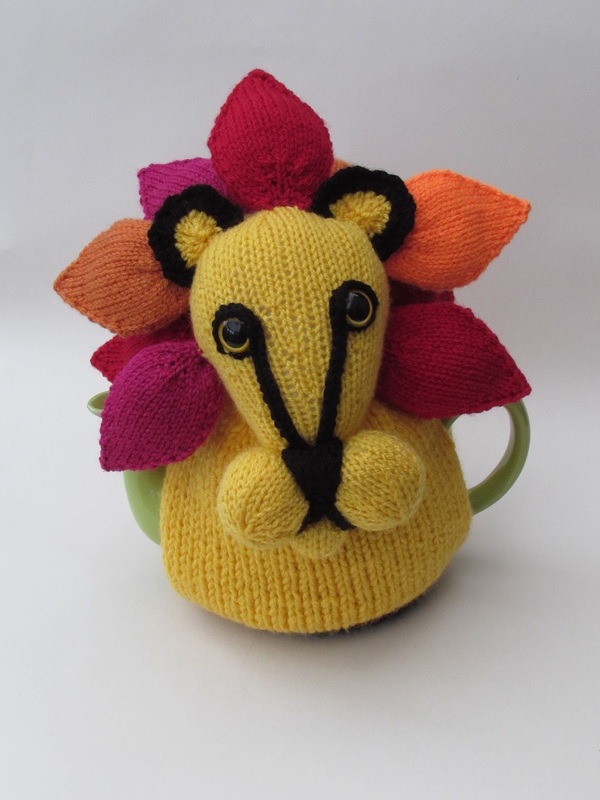 The meerkat tea cosy depicts a mod of meerkats gathered on the top of their burrow. 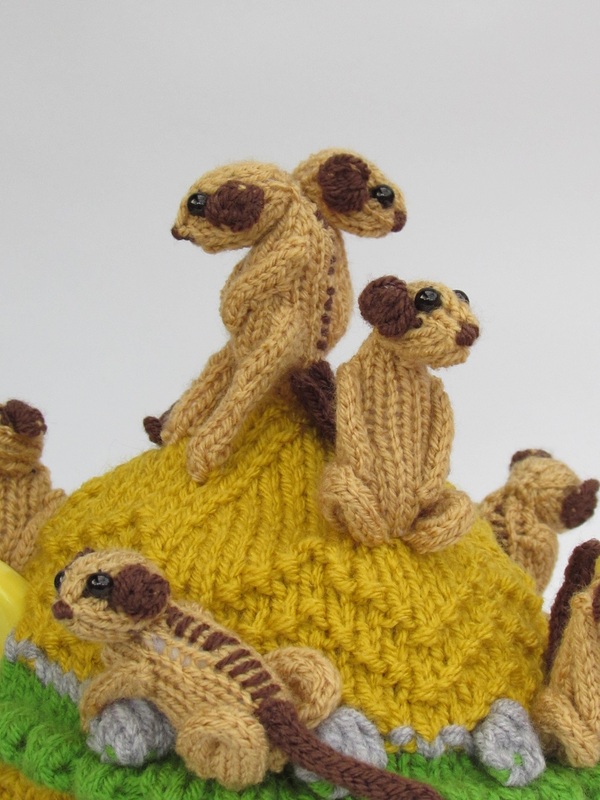 The meerkats are busy going about their business, digging, watching and keeping a look out. 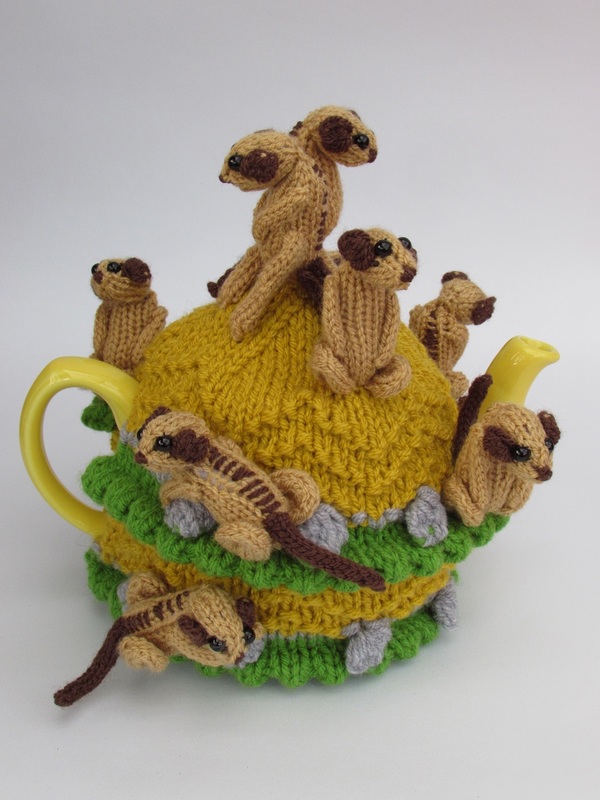 The little meerkats are adorable and there at ten in all. 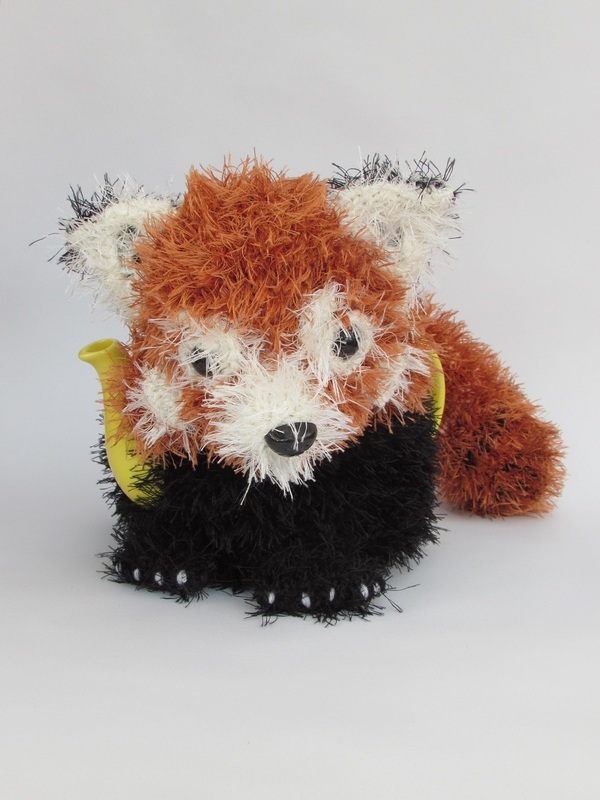 They all have shiny bead eyes and dark brown ears to match the stripes on their backs. 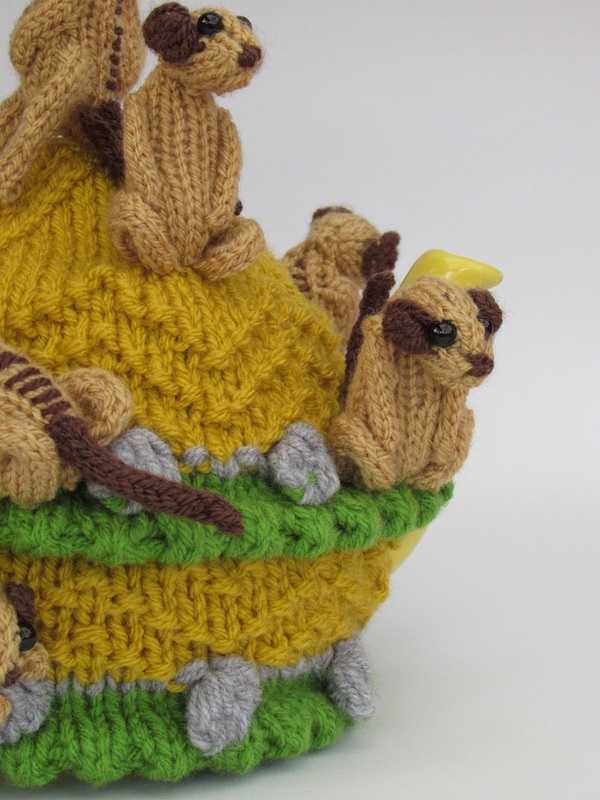 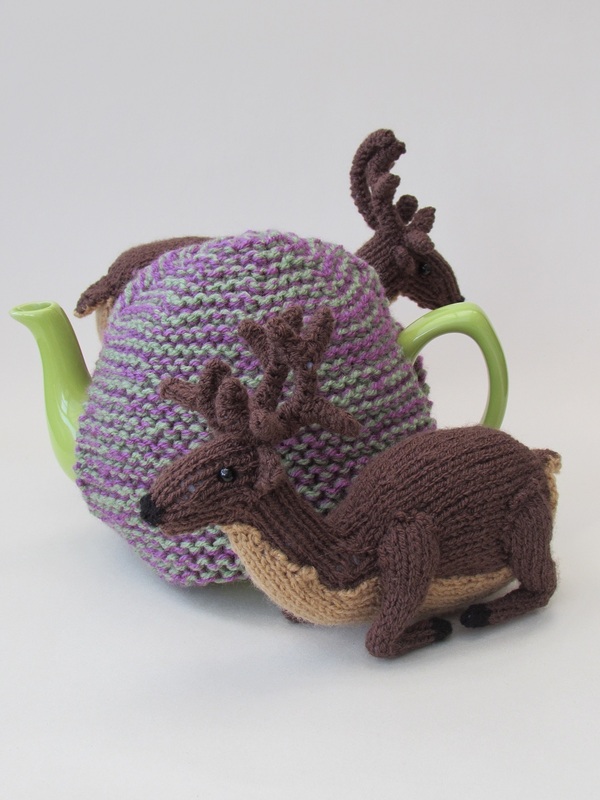 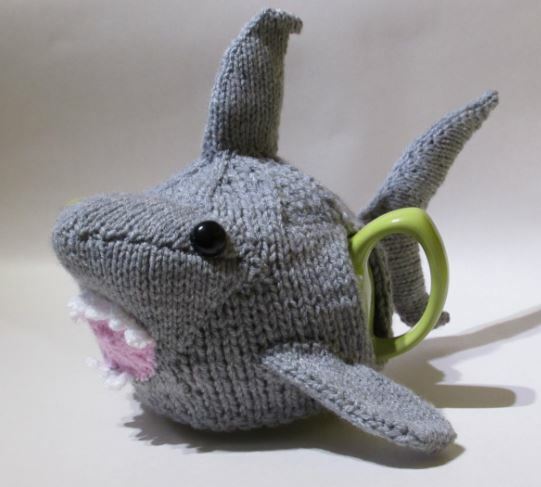 The main tea cosy, or their burrow is a combination of grassy ridges, grey rocks and chevron patterned earth. 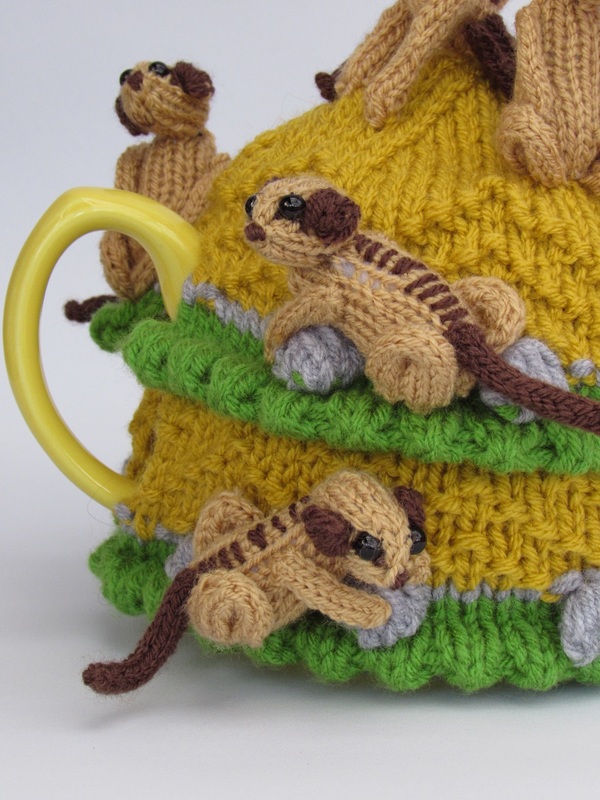 The meerkat tea cosy was inspired by a visit to see some meerkats, and they are just such super little characters that I wanted to make a tea cosy as charming as they were.